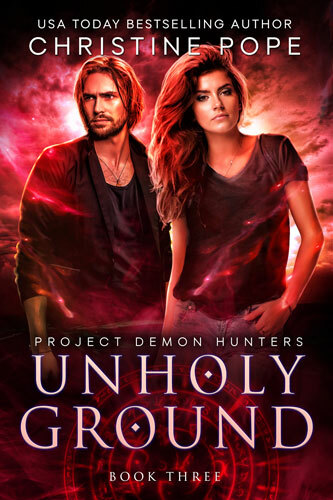 Note: Unholy Ground is part three of a three-part story in the Project Demon Hunters universe. Contains the last installment of the three-part serial, so NO cliffhanger ending this time! Also: A friend whose lifespan was a bit longer than normal, a literal ghost from the past, a little trespassing, and a lot of sizzling holy water. Unspoken, the twelfth and final book in the Djinn Wars series, is now available for pre-order! (The official release day is Wednesday, June 26, 2019.) This is a story that kept prodding me until I realized there really was one more tale in the Djinn Wars universe that I really needed to tell, something that (I hope) will give this world the closure it deserves. 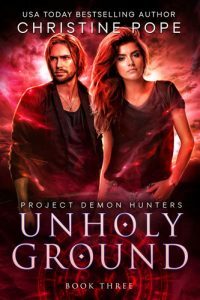 Two years after the Dying, Amber McCoy is utterly alone, foraging in the ruins of the world to survive. Except for them. Angels? Devils? All she knows is, one of them once saved her from attack with a single word — run. Idris, a djinn elder, encounters the young woman he saved, still impossibly fragile-looking and skittish as a wild doe. 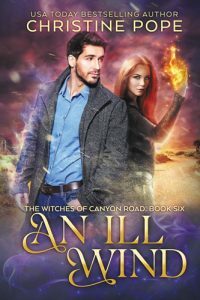 As they spend more time together, each touch strengthening the current of desire humming between them, Idris is acutely aware that Amber will soon be forced to choose between two paths…neither of which can ever lead to his arms.